Keith King, Rebecca Vidourek, Mary Haag, Ashley Merianos. Background: Youth alcohol use is serious health problem. Consequences of youth alcohol use include suicide, homicide, sexual assault, risky sexual behaviors, unintentional injuries, other drug use, and failing grades. 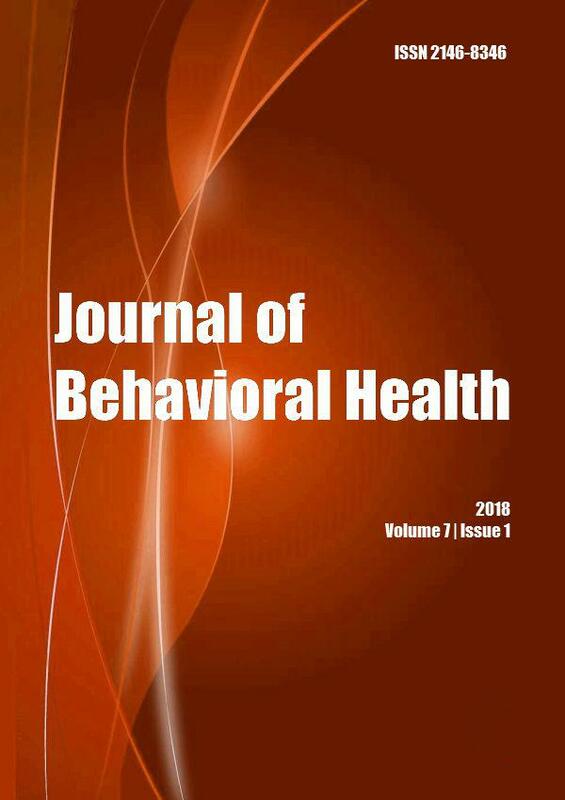 Methods: This study examined whether recent alcohol use among 7th - 12th grade students (N = 54,361) differed based on frequency of pro-social behaviors, risky behaviors; friendsâ€™ involvement in alcohol/drug use; and specific parent, teacher and school factors. Results: Results indicated that 20.3% reported using alcohol in the past month. Male students were more likely than female students to report recent use. Hispanic students were also at increased risk for using. Compared to nonusers, recent alcohol users were more involved in risky behaviors, less involved in pro-social behaviors, and less likely to have parents and teachers talk about and set/enforce rules regarding alcohol use. Conclusions: Recent alcohol use is a significant issue among youth with one in four youth reporting this behavior. Positive connections to parents, teachers/school protected students from recent alcohol use. 2. Johnston LD, O'Malley PM, Bachman JG, Schulenberg JE. Monitoring the Future national results on adolescent drug use: overview of key findings, 2007. (NIH Publication No. 08-6418). Bethesda, MD: National Institute on Drug Abuse; 2008. 3. Newes-Adeyi G, Chen CM, Williams GD, Faden BB. NIAAA surveillance report No. 74: Trends in underage drinking in the United States, 1991-2003. http://pubs.niaaa.nih.gov/publications/surveillance74/Underage03.htm. [Access date October 29, 2011]. 4. Substance Abuse and Mental Health Services Administration. Results from the 2002 national survey on drug use and health: National findings. http://www.oas.samhsa.gov/nhsda/2k2nsduh/Results/2k2Results.htm. [Access date October 29, 2011]. 6. Bonnie RJ, O'Connell ME. Eds. Reducing underage drinking: A collective responsibility. National Research Council and Institute of Medicine. Committee on developing a strategy to reduce and prevent underage drinking. Division of Behavioral and Social Sciences and Education. Washington, DC: The National Academies Press; 2004. 7. Dahl R, Hariri A. Frontiers of research on adolescent decision-making: Contributions from the biological, behavioral, and social sciences. Paper presented at the Planning Meeting on Adolescent Decision Making and Positive Youth Development: Applying Research to Youth Programs and Prevention Strategies. National Research Council/Institute of Medicine Board on Children, Youth, and Families, Committee on Adolescent Health and Development; 2004. 8. United States Department of Health and Human Services. The Surgeon General's Call to Action to Prevent and Reduce Underage Drinking. U.S. Department of Health and Human Services, Office of the Surgeon General: Washington DC; 2007. 9. Centers for Disease Control and Prevention. 2004. Web-based injury statistics query and reporting system. http://www.cdc.gov/ncipc/wisqars/default.htm. [Access date October 29, 2011]. 10. Grunbaum J, Kann L, Kinchen S, Ross J, Hawkins J, Lowry R. Youth Risk Behavior Surveillance â€“ United States, 2003. Morb Mortal Wkly Rep. 2004; 53(No. SS-2): 1-96. 11. Brown SA, Tapert SF. Health consequences of adolescent alcohol involvement. In: National Research Council and Institute of Medicine. R. J. Bonnie & M.E. O'Connell. Eds. Reducing Underage Drinking: A Collective Responsibility. Washington, DC: National Academies Press; 2004. 13. Kuhn C, Swartzwvelder S, Wilson W. Just say know: Talking with kids about drugs and alcohol. New York, NY: W.W. Norton; 2002. 14. National Institute on Alcohol Abuse and Alcoholism. A call to action: Changing the culture of drinking at U.S. colleges. http://www.collegedrinkingprevention.gov/NIAAACollegeMaterials/TaskForce/TaskForce_TOC.aspx. [Access date November 28, 2011]. 15. Center for Substance Abuse Prevention. Underage drinking prevention: Action guide and planner. Rockville, MD: National Clearinghouse for Alcohol and Drug Information; 2001. 16. National Institute on Drug Abuse. 2005. Preventing Drug Use among Children and Adolescents, 2nd Edition, In Brief. http://www.nida.nih.gov/Prevention/risk.html. [Access date December 1, 2012]. 18. King KA, Vidourek RA, Wagner DI. Effect of drug use and parent-child time spent together on adolescent involvement in alcohol, tobacco, and other drugs. Adolescent and Family Health. 2004; 3(4): 171-176. 26. Scales PC, Leffert N. Developmental assets. A synthesis of the scientific research on adolescent development. Search Institute: Minneapolis, MN; 1999. 27. Search Institute. Tapping the power of community. Building assets to strengthen substance abuse prevention. Insights and Evidence. 2004; 2(1): 1-14. 29. Metze L. 2000. The PRIDE questionnaire for grades 6-12. Validity and reliability study. http://www.pridesurveys.com/supportfiles/tr99612.pdf. [Access date 2.12.2012]. 30. Adams RD. 1994. The PRIDE questionnaire for grades 6-12. 2nd developmental study. http://www.pridesurveys.com/supportfiles/tr99612.pdf. [Access date 2.12.2012]. 31. Craig JR, Emshoff J. 1987. The PRIDE questionnaire for grades 6-12. Developmental study. http://www.pridesurveys.com/supportfiles/tr99612.pdf. [Access date 2.12.2012]. 36. Office of Applied Studies. The NSDUH report: Alcohol dependence or abuse and age of first use. Rockville, MD: Substance Abuse and Mental Health Services Administration; 2004. 41. Office of Juvenile Justice and Delinquency Prevention. Drinking in America: Myths, realities and prevention policy. Pacific Institute for Research and Evaluation in support of the OJJDP Enforcing the Underage Drinking Laws Program. U.S. Department of Justice; 2001. 42. Dubas JS, Snider BA. Self-esteem profiles and adjustment in early adolescence: A two-year longitudinal investigation. In DL DuBois. Chair. Trajectories and profiles of self-esteem in adolescence: Identification and implications for adjustment. Symposium conducted at the biennial meeting of the Society for Research on Child Development, Washington, DC; 1993. 46. Stace S, Roker D. Monitoring and Supervision in 'Ordinary' Families: The views and experiences of young people and their parents. National Children's Bureau and the Joseph Rowntree Foundation; 2005. 48. Beinart S, Anderson B, Lee S, Utting D. Youth at risk? A national survey of risk factors, protective factors and problem behaviour among young people in England, Scotland and Wales. London: Communities that Care; 2002. 49. Newburn T, Shiner M. Teenage Kicks? Young People and Alcohol: A Review of the Literature. Joseph Rowntree Foundation; 2001. 54. National Association of Social Workers. Partners in program planning for adolescent health (PIPPAH) pack. Washington, DC: Author; 2002. Behavioral Sciences 2017; 7(2): 34. Journal of Prevention & Intervention in the Community 2016; 44(2): 112. Journal of School Health 2015; 85(9): 621-628. J Child Fam Stud 2015; 24(7): 1966. Journal of Child and Family Studies 2014; (): . Informatics for Health and Social Care 2014; (): 1-11.